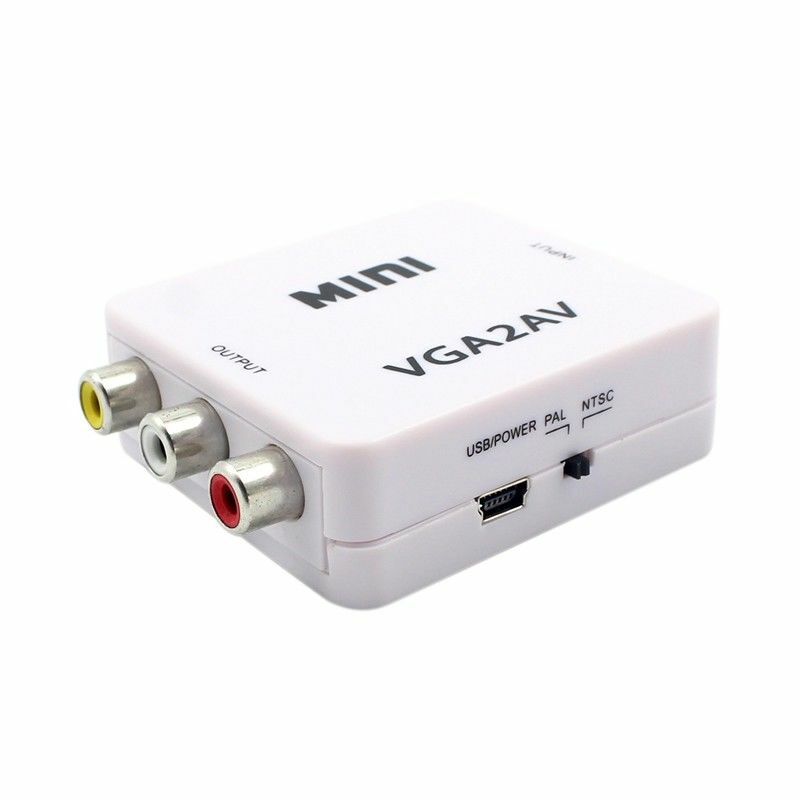 Converts a VGA signal to composite (TV) signal with phono (RCA) outputs (BNC adaptor available see BPP). Accepts resolutions up to 1920x1080. 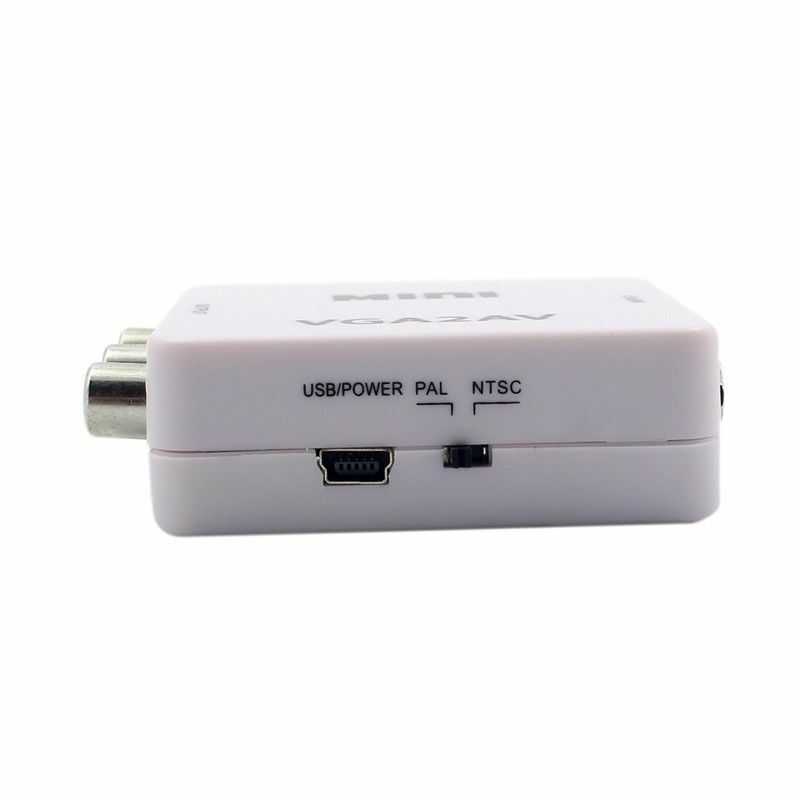 Small size, powered from a USB socket it can connect to HD CCTV & PCs etc . Great for replacing an old CCTV DVR with a modern HD DVR - no need to replace existing monitors or cables. Watch internet TV on your normal TV. Good for Education and Presentations. * No software driver requirement. 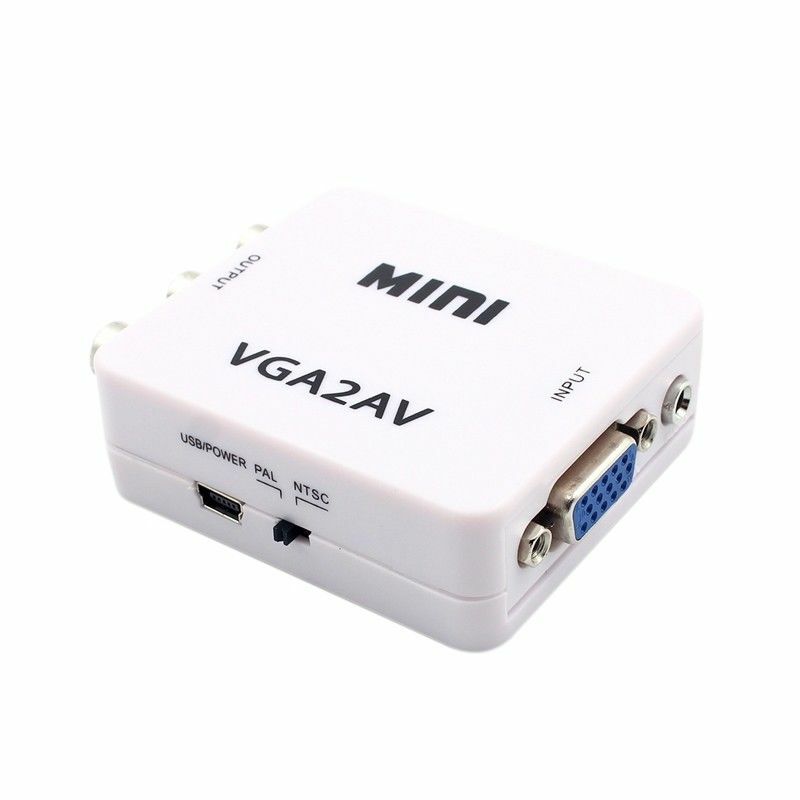 * Supports 640x480 at 60 fps; 800x600 60 fps, 75 fps; 1024x768 60 fps, 75 fps; 1280x720 at 60 fps; 1280x768 60 fps, 75 fps; 1280x1024 60 fps, 75 fps; 1360x768 at 60 fps; 1400x1050 60 fps; 1440x900 60 fps; 1680x1050 at 60 fps; 1600x1200 60 fps; 1920x1080 60 fps resolutions.